Vincent (Vince) Copley is an Elder of the Ngadjuri people of South Australia. He was born in 1936 in Point Pearce, South Australia. Vince Copley has been an important advocate for the rights of Aboriginal people. He has spent all of his life working to improve the social, legal and economic position of Indigenous people, raise self-esteem and regain identity. Over a lifetime of service, he has visited almost every Aboriginal community in Australia. Together with Charles Kumantjay Perkins, John Moriarty, Gordon Briscoe, Don Dunstan, and Cameron Stuart (later Judge), Vince Copley helped change South Australian race legislation. He successfully campaigned to reform marriage laws, create the South Australian Lands Trust laws and have the racially discriminatory Welfare Board legislation repealed in South Australia. Vince’s early career was an accomplished footballer and cricketer. Later, he extended this through various roles in sports administration. He has made major contributions to Australian sport in an administrative capacity. In 2000, Vince Copley was appointed Co-chair to the National Indigenous Cricket Advisory Council. Most recently, he fulfilled this role in tandem with Dr John Bannon, former Premier of South Australia. In this capacity Vince has organized various national and international programs for Indigenous cricketers including the 1988 tour of England, which commemorated the first Aboriginal Australian tour of 1868. Vince’s actions provided hitherto unrecognised—and certainly uncelebrated—appreciation of the role of Aboriginal people in Australian cricket. The significance of Vince Copley’s contribution to Australian cricket is acknowledged in the Vince Copley Medal, which recognizes the ‘most outstanding cricketer’ at the annual Lord Taverner’s Statewide Indigenous Carnival. Vince Copley has made important contributions to the reclamation and protection of Australian Indigenous cultural heritage. 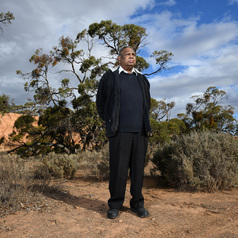 While he has worked for the wellbeing of Aboriginal people all over Australia, Vince also has been instrumental in reclaiming the identity of his own family group, the Ngadjuri. Copley emphasizes the importance of recognizing mixed Indigenous heritage; though much of his work has focused on the Ngadjuri he has family links to the Narangga, Ngarrindjeri and Kaurna people and has contributed to Native Title claims for the Narangga and Kaurna groups. Chair, Ngadjuri Elders Heritage and Landcare Council Inc.